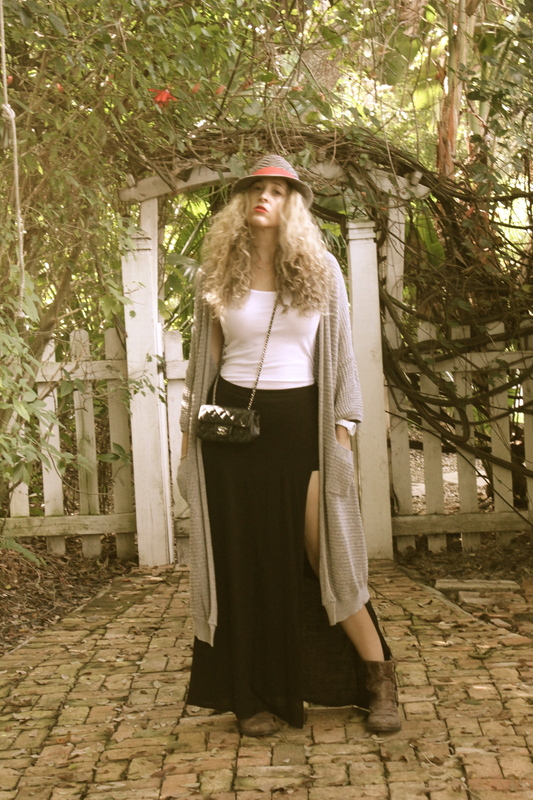 Maxi skirts are such a comfy way to look casual and chic! I found this maxi skirt with built in shorts and a large slit which gave it a newer take on the maxi’s out there. 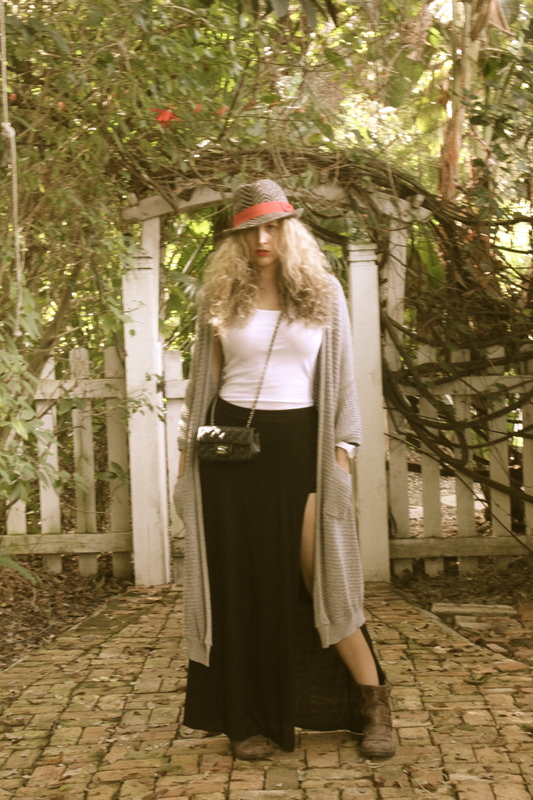 I added my favorite oversized cardigan, some moto boots and a hat to finish off the look.